Noisia recently announced the first details of their 2015 Noisia Invites tour. Featuring 10 European shows across Austria, Hungary, Czech Republic, Denmark, UK, The Netherlands (x2), Italy and France (x2), these form the first dates in support of next year’s 10 Years Of Vision Recordings anniversary. The tickets for the new tour are on sale now and follow previous sold-out Noisia Invites events in the UK, Germany, Belgium, Spain and The Netherlands. The Noisia Invites concept sees Noisia host, curate and play each event, alongside a handpicked selection of leading and emerging talent. Previous artists have included Chase & Status, Wilkinson, TC, Audio, UZ, The Upbeats, Hybris, Alix Perez, Kill the Noise, Phace, Rockwell, Black Sun Empire, Calyx & TeeBee, Foreign Beggars, Neosignal, Friction, KOAN Sound, Mefjus, Ed Rush and many others. Further details on the forthcoming tour special guests will be announced soon, alongside a raft of Vision 10th anniversary activity. Since the release of July’s ‘Purpose EP’, Noisia’s recent projects include the Valve Music Pack release, and their Driveclub Remix of Hybrid for Sony’s new Driveclub game, plus the forthcoming performance with the North Netherlands Symphony Orchestra (NNO) at two live events at Groningen’s historic VERA venue on 15 November. 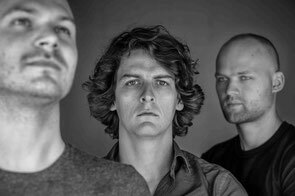 Working from their studios in their hometown of Groningen, Noisia have gradually developed and cultivated a sound that’s obsessed with production techniques; a sound that’s instantly recognisable whether you’re hearing three minutes of a track dropped at a festival or three hours of it while playing DmC Devil May Cry. For most up-to-date information you have to pay a visit world wide web and on the web I found this web site as a finest web page for hottest updates.